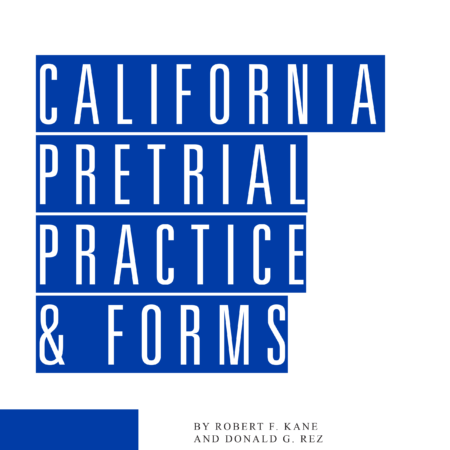 Pretrial release strategies, alternatives to prosecution, discovery angles, plea bargaining and agreement suggestions, sentence negotiation tactics, recent case-based examples, dozens of pretrial motions with memoranda, hundreds of practice tips, and much more. U.S. Attorneys’ offices have become more aggressive. Prosecutors are more frequently refusing to produce witness statements before a detention hearing or loading the proffer letter with exceptions. Combat many of these changes by employing tips, arguments, and forms in Federal Criminal Practice. Federal Criminal Practice includes (1) tips for success learned in the trenches, (2) arguments supported with over 1,500 recent cases, (3) traps to avoid, and (4) 51 custom-drafted forms proven in practice. 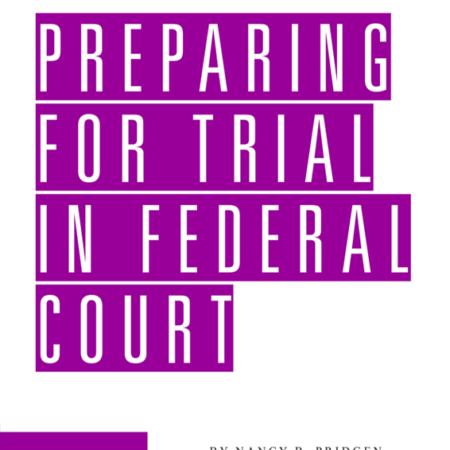 The strategies, arguments, cases, and forms inside Federal Criminal Practice are truly welcomed additions to your library. Consequences of defendant’s breach of an agreement to cooperate with the government’s investigation / prosecution. Whether a magistrate judge may accept felony guilty pleas with the parties’ consent. Procedures for taking the guilty plea of an organizational defendant. Factors considered in determining whether the defendant’s plea is knowing and voluntary. Standard of appellate review when the trial court injects itself into plea negotiations. Immigration status as a factor in determining whether a defendant should be released under pretrial supervision. When to raise a statute of limitations defense. Challenges to the sufficiency of the government’s evidence when a jury instruction erroneously adds one or more element to the charged crime. Effect on a defendant’s substantial rights of a federal criminal sentence derived from an incorrect sentencing range. Applicability of the Fair Sentencing Act to individuals sentenced before the law’s effective date. The scope of “relevant conduct” under the Guidelines in relation to the three-step analysis that courts must apply to hold a defendant accountable for acts of co-conspirators. Sentencing court’s responsibility to adequately explain its sentence, resolve all non-frivolous issues raised by a party and provide reasons justifying a sentence outside the applicable guideline range, so as to allow for meaningful appellate review. Barry Boss is co-chair of the criminal defense and internal investigation practice at Cozen O’Connor where he is also managing partner of the Washington, D.C. office. He concentrates his practice in complex criminal matters, focusing on white-collar crime. Mr. Boss served as Assistant Federal Public Defender in Washington, D.C. between 1995 and 2000. He is the former co-chair of the U.S. Sentencing Commission’s Practitioners Advisory Group and served as an adjunct professor at the George Washington University Law School. He has been a featured speaker at seminars around the country. In 2006, he became a Fellow in the American Board of Criminal Lawyers. Jeffrey H. Rutherford is the managing partner of the Los Angeles office of Crowell & Moring LLP, where he is a member of the firm’s White Collar & Regulatory Enforcement Group. An experienced trial lawyer who specializes in white-collar criminal defense, Mr. Rutherford also handles criminal appeals, grand jury investigations, parallel administrative and enforcement proceedings, and complex civil litigation. Mr. Rutherford served as a trial deputy in Federal Public Defender’s Office in the Central District of California between 1999 and 2004. He has also taught trial advocacy at Loyola Law School in Los Angeles and has been a featured speaker and faculty member at seminars on trial practice, complex criminal litigation, and law and technology. Michael J. Proctor is a trial lawyer and partner at Caldwell Leslie & Proctor, PC, a 32-lawyer litigation firm located in Los Angeles, where he chairs the firm’s White Collar Crime and Corporate Compliance practice group. In addition to representing corporations and individuals in all aspects of criminal investigations and proceedings, Mr. Proctor also handles complex commercial litigation matters. Mr. Proctor previously served as a trial deputy in the Federal Public Defender’s Office in the Central District of California (1997-2002) and as an attorney with the San Francisco firm of Keker & Van Nest LLP (1990-1997). He also has served as a faculty member of the University of San Francisco’s Intensive Advocacy Program, where he taught trial skills.